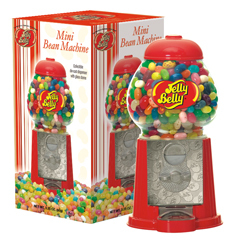 A Jelly Belly™ Jelly Bean Machine filled with jelly beans has been a popular gift that our Accountant clients send as a gift from their clients' "favorite bean counters." 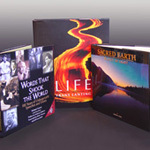 What a great gift for travel planners to give to their clients! These flip flops are the perfect "drinkware" for any stemmed cocktail or wine glass to rest upon. Foot of the glass fits under the thong straps. 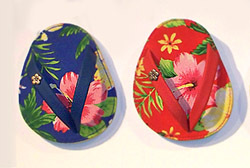 Two of the four tropical designs are shown here.